Having been fortunate to bag my 46 High Peaks some years ago, my Adirondack goals are a different these days. 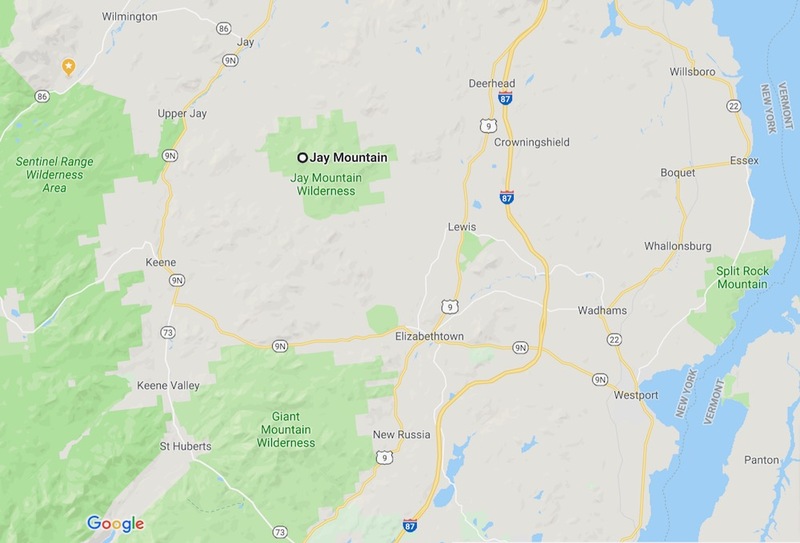 While I’d love to return to Haystack, Marcy, and the Great Range, I’m also looking for peaks that I haven’t ascended before — whether or not they’re 4000+ feet high. And I’m looking for new approaches to peaks I’ve already hiked in the past. Last weekend, I returned for a more laid-back type of weekend. For my Saturday tempo run at Mount van Hoevenberg, the weather was perfect. Late Saturday afternoon, Executive Disorder tore up the Ausable Brewing Company with a great set. The pièce de resistance was a Jay Mountain hike on Sunday. A couple years ago I took my kids camping into the Sundown Wild Forest in the Catskills. It was a fun couple of days but I went into it with a to-do list so long, we couldn’t possibly get to everything. Recently I read that the state had added a day-use permit requirement (for summer weekends at least) to the egregiously abused Peekamoose Blue Hole, a popular swimming spot in the area, located on Rondout Creek. It reminded me of some of the hikes that we hadn’t gotten to, especially the Red Hill Fire Tower. 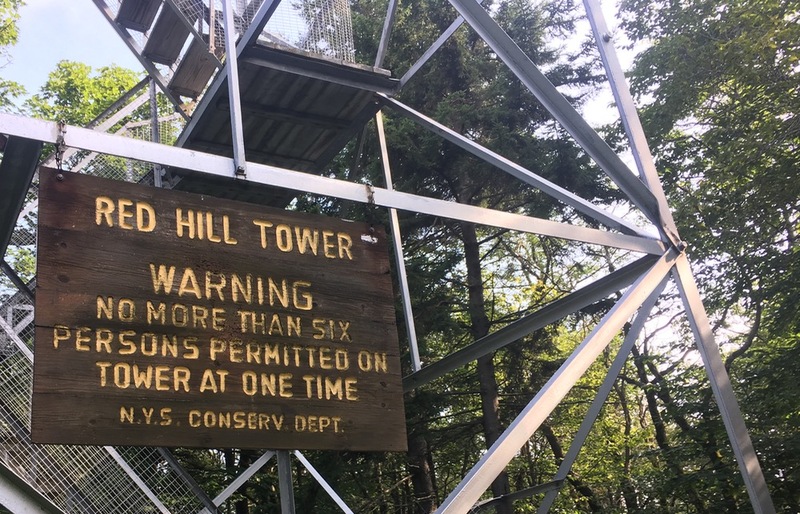 The Red Hill Tower was the last one in the Catskills to operate in its original role. Bear Mountain State Park is another cool place with lots of history, including some of New York’s early ski history. 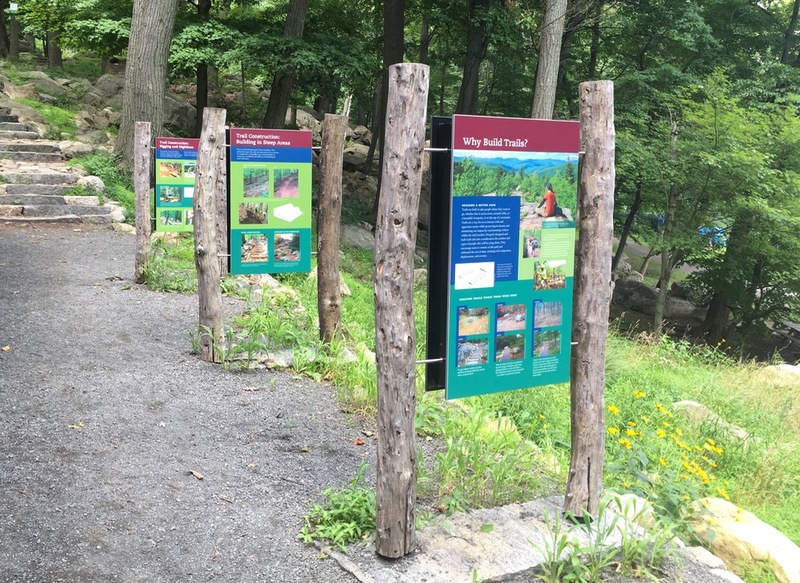 But it also attracts so many people every summer weekend that the heavy traffic can make it difficult to get around northern Rockland County, much less take advantage of the hiking, paddling and swimming opportunities the park offers. It can be disheartening. It’s not just because the crowds and traffic make access difficult, but also the impact all those people have in terms of litter, erosion, noise pollution. The crowds at Harriman and Bear redefine the term “intensive use.” On a normal summer weekend, I definitely avoid Bear Mountain.